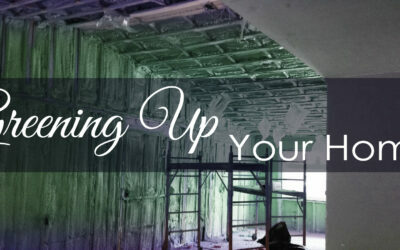 > Calgary’s Home Renovation Blog > Spray Foam Insulation > Industry Insight – Spray Foam Insulation R-Value: R20 or R50? 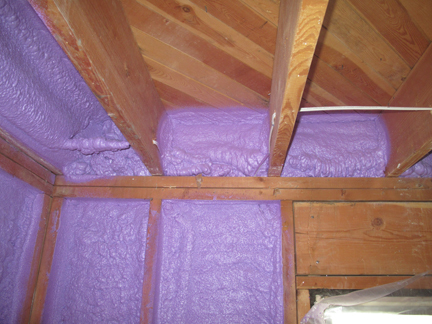 Industry Insight – Spray Foam Insulation R-Value: R20 or R50? A couple years ago in 2014, one of the managers at Beyond Foam decided to do a little insulation experiment at his house. Not to worry…no chemistry set or burned eyebrows in this story. This was an experiment in R-value. Having worked for Beyond Foam for a few years, the decision was made to add some spray foam to the attic of his 1990s home. Unlike many of our customers, this attic already had sufficient R-value. With an R50 of fiberglass loosefill insulation, most of our estimators would normally climb down from the hatch and inform the customer that their attic is well insulated for the time being. As the experiment began, one of our qualified teams showed up at our manager’s residence and began the removal of roughly 20 inches of the fiberglass loosefill insulation. Once the insulation had been removed, our spray foam team moved in and applied R20 of our closed cell spray foam product. No other insulation was added on top of the spray foam. To be very clear, R20 does not even meet the minimum code requirement for the building in the year it was originally constructed. After the foam was installed, we waited to see how the insulation preformed. As months continued and our cold Calgary climate took hold, the results of the experiment rolled in. The results: A decrease in energy consumption and increase in comfort within the house. Isn’t R-value the number we should all use to determine efficiency? The truth is, and what our manager already knew, was that a building that is sealed well will inevitably perform better regardless of R-value. Spray foam in an attic completes the seal and separation of warm from cold, allowing a home to maintain a conditioned environment. ***Beyond Foam does not make a practice of insulating buildings below code requirement. This job was for study purposes only and has been upgraded to code values. Why are Poly-B Plumbing Lines an Issue?